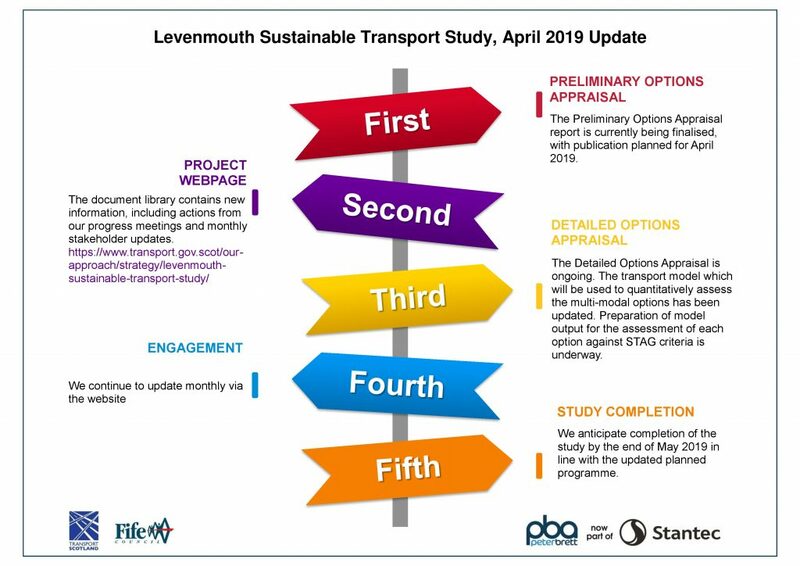 The latest projected date for the final report on the latest Levenmouth Sustainable Transport Study (STAG) is now 31st May. Commissioned by Transport Scotland and conducted by PBA Consultants, this will review the six options selected for addressing the serious accessibility problems faced by Levenmouth’s population. The original timetable for the Study indicated this would be completed by October 2018. Levenmouth awaits a positive signal to move to the next stage – any recommendation to provide `improved bus services’ (which has failed previously) in place of rail will not be acceptable.